Hello there....hope your week is off to a great start!! Mine is for sure! This week will be a short one for me as we are heading up to Northern California on Thursday for the holiday. Visiting our friends there for a few days and it should be fun! It's no secret I love to work with dies and I do have a nice supply of them..LOL. I have been fortunate to design for great companies along the years and sure treasure every single die set. 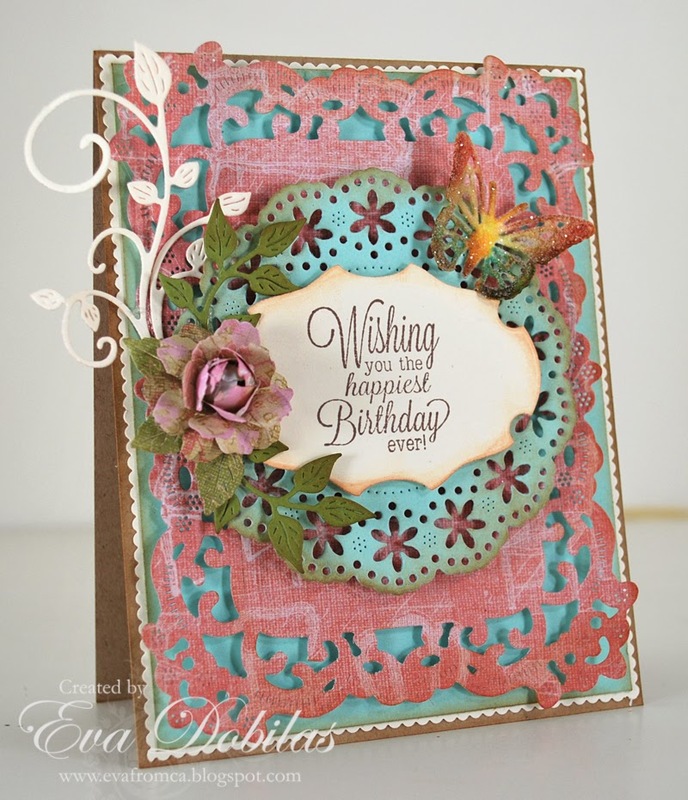 Anyway, one of my sweet friends, Karen Maldonado is on the Cheery Lynn Design team and she is constantly teasing me with her gorgeous creations. If you haven't by any chance been to her blog, you better run and check it out, as you will see some serious gorgeous creations. I had a little time to play and decided to create a card for this week's challenge called Frame it. So without any more talk, here is my card I created for this challenge. I used quite a bit of dies on this, as you can tell. Here is a close up of the focal point of my card. 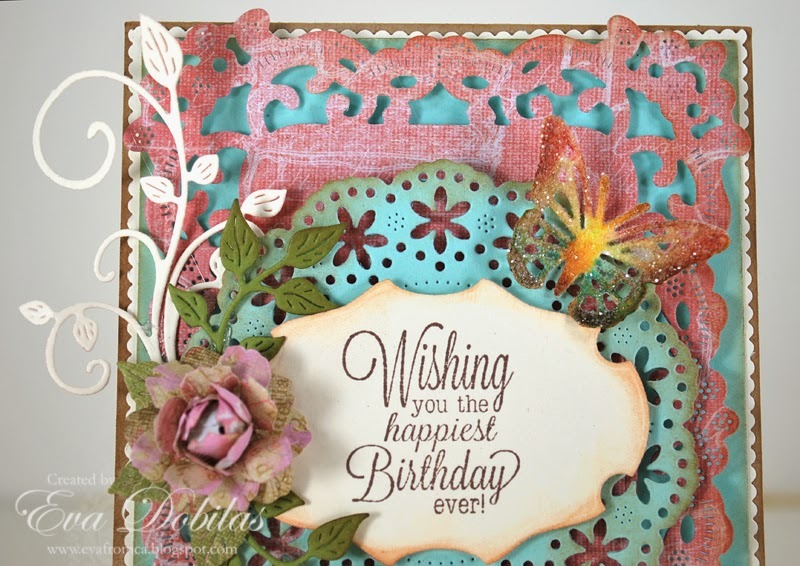 Don't you just love that flower and the pretty leaves and flourish and not to mention that cute little butterfly, which I simply die cut, painted in with water colors and added Tim Holtz glitter to it.